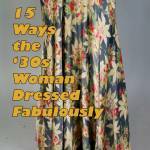 Purchasing cheap vintage clothing is easy and fun when you explore new avenues to discovering it, like shopping in your grandmother’s closet, attending a swap event or buying vintage by-the-pound, from a costume shop, estate sale or flea market. 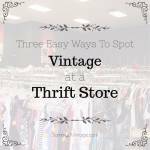 Whether you have expensive tastes or are a thrifter at heart, keep reading after the jump for 10 tips and tricks to finding vintage clothing for less! 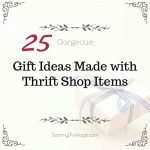 I invited Meg of Meg Allan Cole Crafts to A Little Wicked for a challenge: Which vintage pieces could we pair with her geometric necklace for fresh and modern looks? 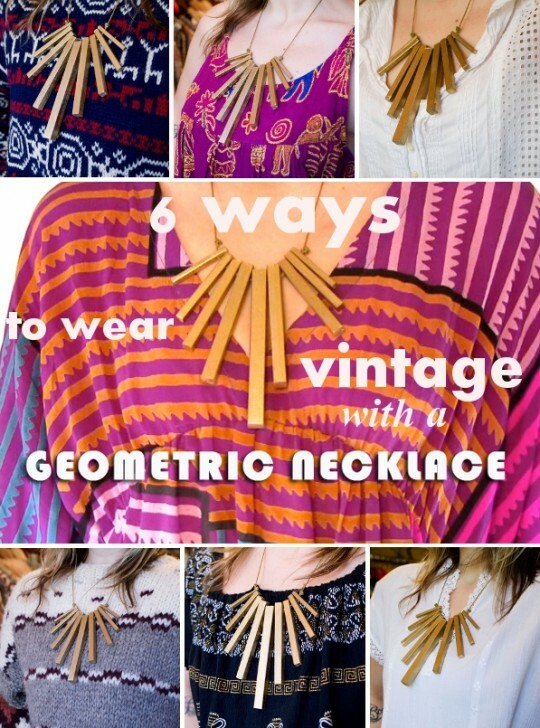 Keep reading after the jump to watch Meg get styled in 6 unique pieces accessorized with the necklace, and learn which clothing item was Meg’s personal favorite when worn with this gorgeous geometric creation! 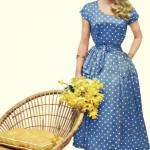 Where to buy little black dresses on Etsy and Ebay resembling LBDs from vintage boutique A Little Wicked. 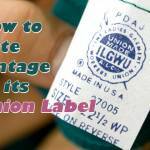 Learn where to buy vintage clothing online from online vintage marketplaces Ebay, Etsy, Ruby Lane, Art Fire and Style.ly as well as the advantages and disadvantages of shopping for vintage at each. 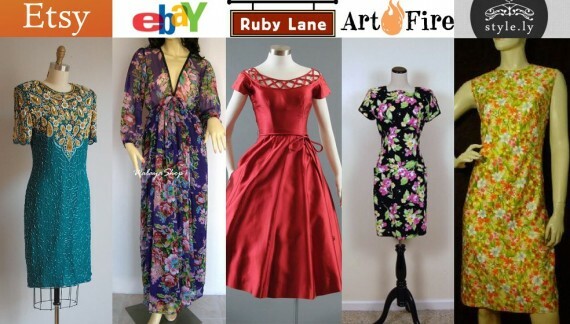 Here’s a sampling of my favorite winter white vintage clothing available to buy on Etsy now.